An important ancestral figure in the mythology of the Warlpiri people, the last wild Mala population in Central Australia went extinct in the early 1990’s, succumbing to the impacts of destructive wildfires and feral predators (foxes and cats). 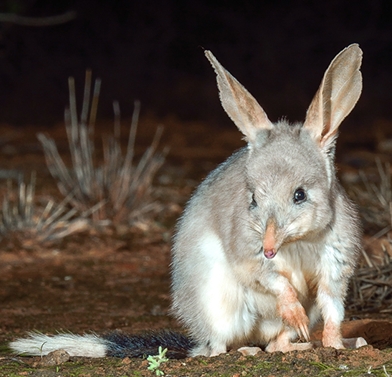 These small macropods are making a comeback at Newhaven, as part of the largest rewilding project in Australia. 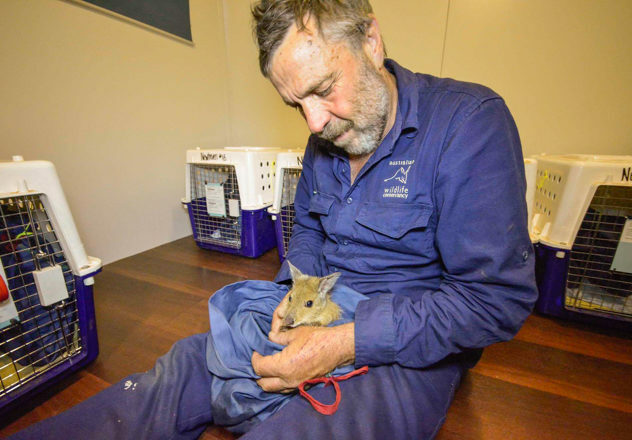 AWC is returning the Mala back to the wild at Newhaven Wildlife Sanctuary in Central Australia. The population being established at Newhaven will be the only free-ranging population of Mala on the mainland in more than 25 years. 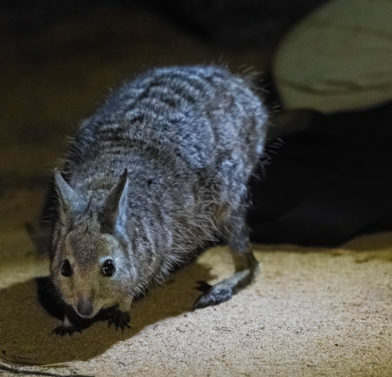 In late 2017, AWC released the first Mala into a purpose built 150-hectare fenced, feral predator-free area on Newhaven Wildlife Sanctuary, starting with an emergency translocation of the last remaining Mala population from Watarrka National Park. The Mala will ultimately be released into the larger 9,450 hectare feral predator-free area. Over time, as the feral-free area at Newhaven expands, we estimate the property will become home to 18,000 wild Mala. Outside of Newhaven, AWC also protects one of the five remaining semi-wild Mala populations within a special-purpose 115-hectare feral predator-proof fenced area at Scotia Wildlife Sanctuary. 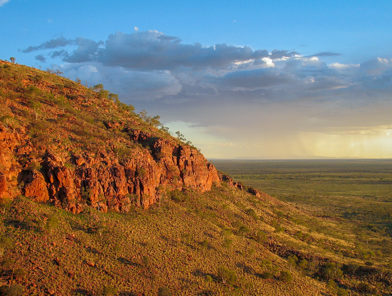 While this location is outside the historical range of the species, the Scotia population is one of the largest groups remaining of the central Australian subspecies. This population was established in 2001, supplemented over the following decade, and grew to over 60 Mala by 2018.This important population is now a crucial source for translocations to re-establish wild populations. The Mala is extinct in the wild on mainland Australia, primarily due to predation by introduced predators (foxes and feral cats). Extensive wildfires that resulted following the cessation of Aboriginal fire management increased the exposure of Mala to predators. The Mala is a small marsupial with reddish-orange fur. Adults stand about 30cm in height and weigh between 0.7–2.0 kg. On average, females tend to be slightly larger than males. Mala are solitary and once occupied a variety of vegetation types, mainly in sandy habitats. They were once abundant in spinifex grasslands and also inhabited gravelly plains, dunes, and mulga (Acacia aneura) woodlands with tussock grass. 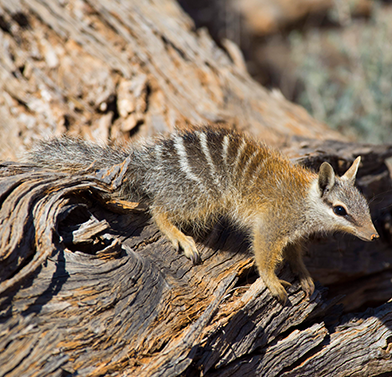 They are nocturnal and shelter beneath spinifex and shrubs during the day, or they hide in short burrows – especially during summer. Their diet consists of a mixture of forbs and grasses, some of which are promoted by fire. Mala are able to survive without free-standing water, getting all the moisture they need from their diet. Females breed throughout the year, giving birth to a single joey. Pouch life lasts around four months and a female can produce up to three offspring per year, depending on environmental conditions. Mala in captivity can live up to 13 years but likely have a shorter lifespan in the wild. The Mala was once widespread and abundant across semi-arid Australia including much of WA, NT and SA, extending into western QLD. 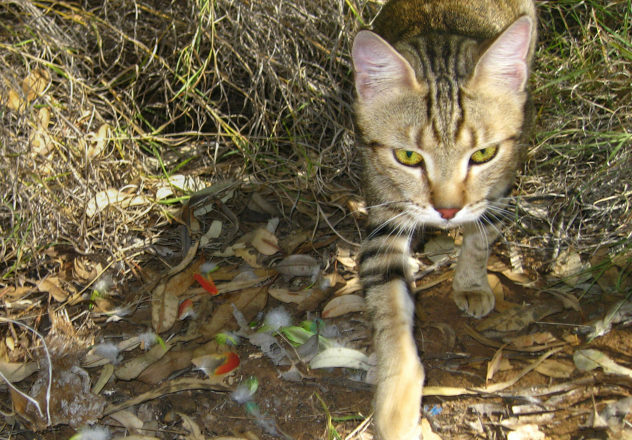 Following European settlement, the range of Mala was reduced drastically as a result of predation by cats and foxes; the last known population in the Tanami Desert became extinct in the wild in 1991. Fortunately, some individuals from this population were saved and were put into a captive breeding program. Today, Mala survive only on one island free of introduced predators and in four small semi-wild populations behind conservation fences, including AWC’s Scotia Wildlife Sanctuary. The Scotia population is now playing an important role in conservation of the species.